Massive galaxies — and their globular clusters — are thought to form in two phases: first comes an early collapse accompanied by a giant burst of star formation, which forms red, metal-rich clusters, followed by a later accumulation of material, which brings in bluer, metal-poor material. I find this surprising. I would have thought that blue, metal-poor clusters formed first, and red, metal-rich clusters formed later. In any case, NGC 1277 doesn't seem to be terrifically massive, even though it's certainly not a dwarf galaxy. The discovery of NGC 1277’s red clusters confirms that the galaxy is a genuine antique that bypassed this second phase, raising important questions for scientists on how galaxies form and evolve: a hotly debated topic in modern astronomy. My impression is that most of the Milky Way's globulars are blue and metal-poor. To me, the definition of a metal-poor globular is one that has formed more than a handful of RR Lyrae variables. Is that definition wrong? If I'm right, does that mean that the Milky Way formed only a few "red" globulars to start with, and then all the blue, metal-poor globulars were added later? The Milky Way is possibly not a lot less massive than NGC 1277. Of course, the Milky Way has never been a part of a really massive cluster, unlike NGC 1277, so the gas available for the formation of globulars must have been quite different for the Milky Way and NGC 1277. Arp 316 is in the Galaxy Groups class. This group, including NGC 3185, is also known as Hickson 44. Hickson 44 (Arp 316), galaxy group in constellation of the Lion ( Leo), with NGC 3185 (Sba), NGC 3187 (SBc/P), NGC 3190 (Sa), and NGC 3193 (E2). Scanning the skies for galaxies, Canadian astronomer Paul Hickson and colleagues identified some 100 compact groups of galaxies, now appropriately called Hickson Compact Groups. The four prominent galaxies seen in this intriguing image are one such group, Hickson 44, about 100 million light-years distant toward the constellation Leo. The two spiral galaxies in the center of the image are edge-on NGC 3190 with its distinctive, warped dust lanes, and S-shaped NGC 3187. Along with the bright elliptical, NGC 3193 at the bottom left, they are also known as Arp 316. 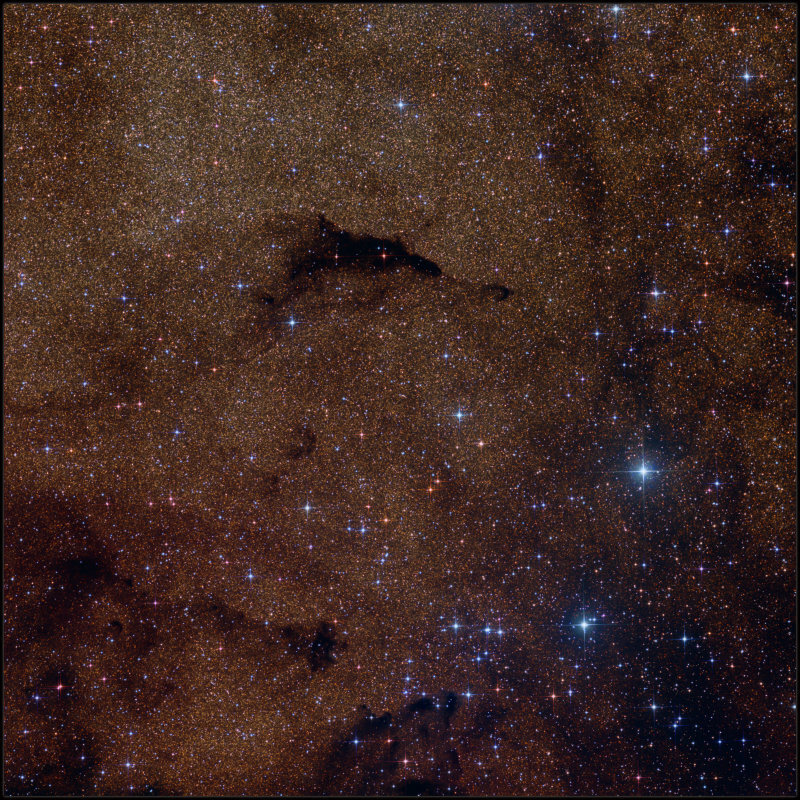 The spiral in the upper right corner is NGC 3185, the 4th member of the Hickson group. Like other galaxies in Hickson groups, these show signs of distortion and enhanced star formation, evidence of a gravitational tug of war that will eventually result in galaxy mergers on a cosmic timescale. The merger process is now understood to be a normal part of the evolution of galaxies, including our own Milky Way. 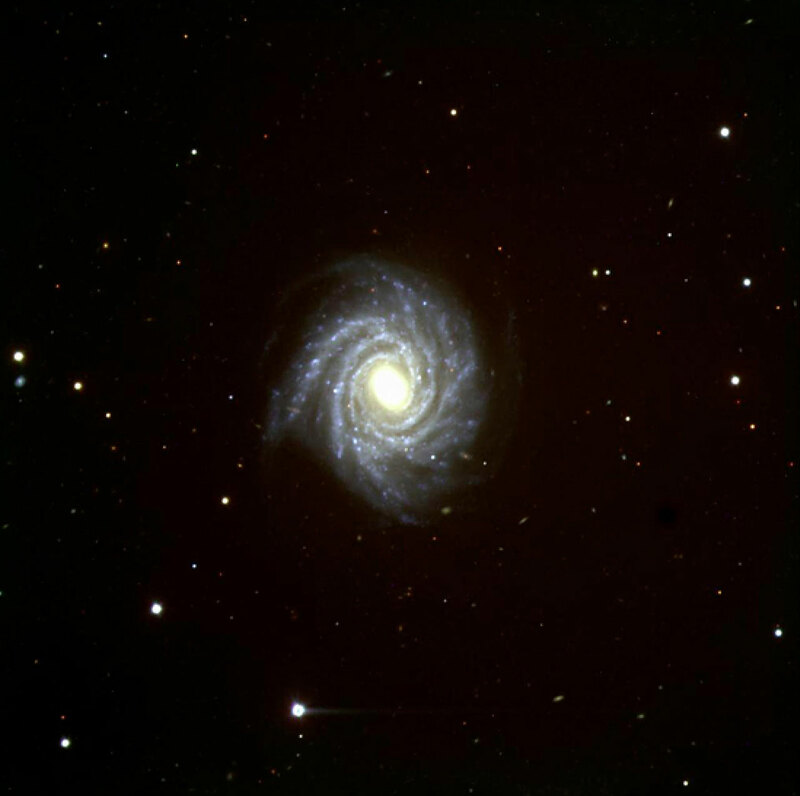 For scale, NGC 3190 is about 75,000 light-years across at the estimated distance of Hickson 44. Current theory is that compact groups represent physically related galaxies that are in the process of merging into a single object, most likely an elliptical galaxy. Compact groups are relatively short-lived entities that form via mergers of galaxies within loose subsystems and groupings. Simulations predict that merging of the group members should proceed rapidly within one billion years to form an elliptical galaxy. Hickson groups are therefore snapshots at various stages in this merging process. The more evolved groups are smaller and more deficient in neutral hydrogen while the least evolved resemble galaxies in looser groups. Observational evidence shows that interaction is occurring in a large fraction of galaxies in HCG supporting this model for the origin and evolution of HCG. The cosmological implications of compact groups are significant. Astronomers believe they may represent an intermediate stage between loose groups and individual galaxies. A better understanding of the nature of HCG could help explain galaxy formation on a larger scale in the early universe. 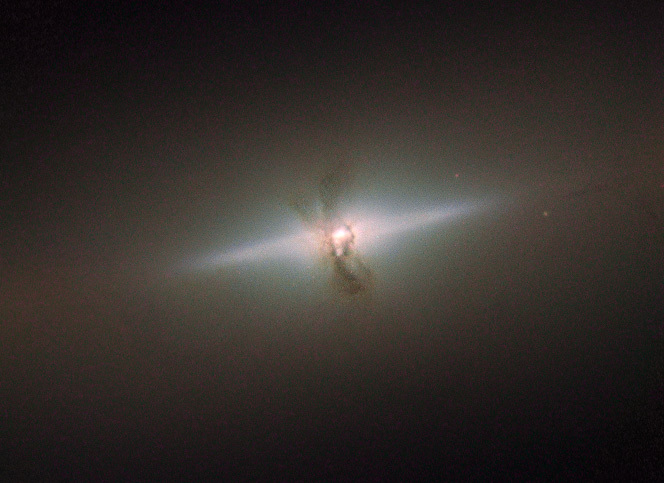 NGC 289. Photo: Adam Block. 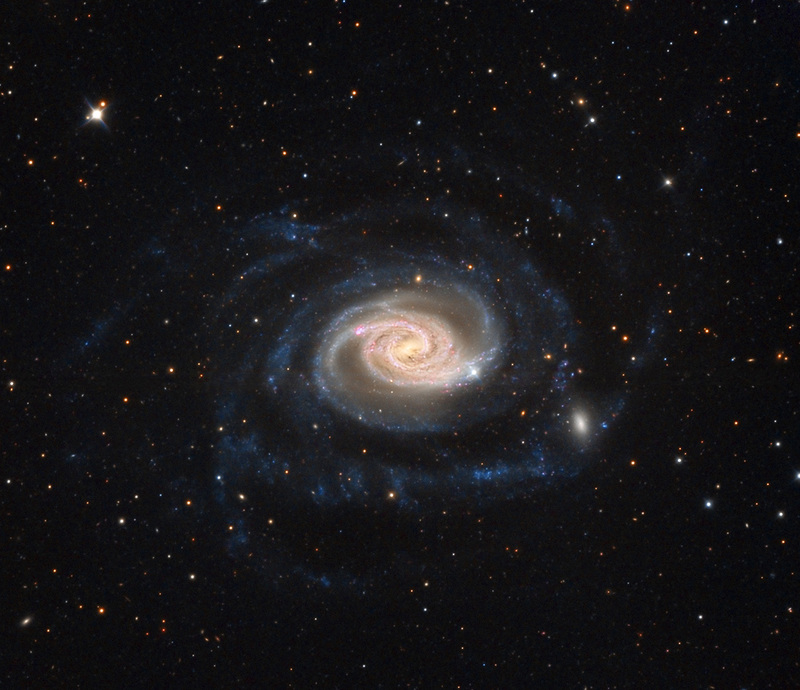 Adam Block has uploaded a new galaxy image! Woo-hoo! NGC 289 is a very elegant galaxy, very spiral-y. The inner mostly yellowish parts of it are beautifully regular and symmetrical, while the outer blue arms are tangled. This is probably a consequence of the interaction of NGC 289 with a small dwarf companion, which may enhance the overall spiral structure of NGC 289. Thanks again to Adam Block for the lovely new galaxy image! This week’s featured image highlights a handful of the telescopes residing at ESO’s La Silla Observatory in northern Chile. The star of the show, framed perfectly by the beautiful arch of the Milky Way, sits directly in the middle of the photograph — the Danish 1.54-metre telescope. Operational since 1979, this trusty telescope has helped astronomers to make all kinds of cosmic discoveries, from understanding more about violently merging neutron stars to detecting planets around other stars. It now performs follow-up observations of gamma-ray bursts, some of the most energetic events in the Universe. This image, taken by ESO Photo Ambassador Petr Horálek, shows the heart of the Milky Way, both the Large and Small Magellanic Clouds, the constellations of Orion (The Hunter) and the Southern Cross, and the glare of distant settlements, all of which create vibrant bursts and flashes of colour across the frame. Towards the distant horizon, hues of red and green light up the sky — these colours are produced by a phenomenon called airglow. This image, captured by the Advanced Camera for Surveys (ACS) on the NASA/ESA Hubble Space Telescope, shows the spiral galaxy NGC 5714, about 130 million light-years away in the constellation of Boötes (the Herdsman). 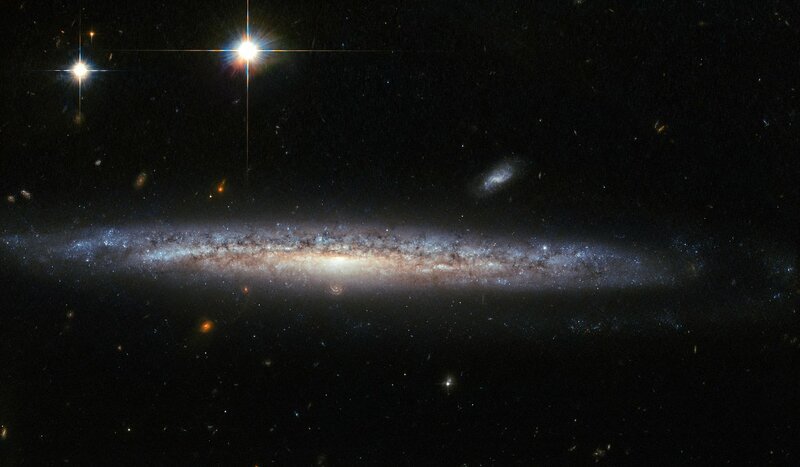 NGC 5714 is classified as a Sc spiral galaxy, but its spiral arms — the dominating feature of spiral galaxies — are almost impossible to see, as NGC 1787 presents itself at an almost perfectly edge-on angle. Discovered by William Herschel in 1787, NGC 5714 was host to a fascinating and rare event in 2003. A faint supernova appeared about 8000 light-years below the central bulge of NGC 5714. Supernovae are the huge, violent explosions of dying stars, and the one that exploded in NGC 5714 — not visible in this much later image — was classified as a Type Ib/c supernova and named SN 2003dr. It was particularly interesting because its spectrum showed strong signatures of calcium. Calcium-rich supernovae are rare and hence of great interest to astronomers. Astronomers still struggle to explain these particular explosions as their existence presents a challenge to both observation and theory. In particular, their appearance outside of galaxies, their lower luminosity compared to other supernovae, and their rapid evolution are still open questions for researchers.